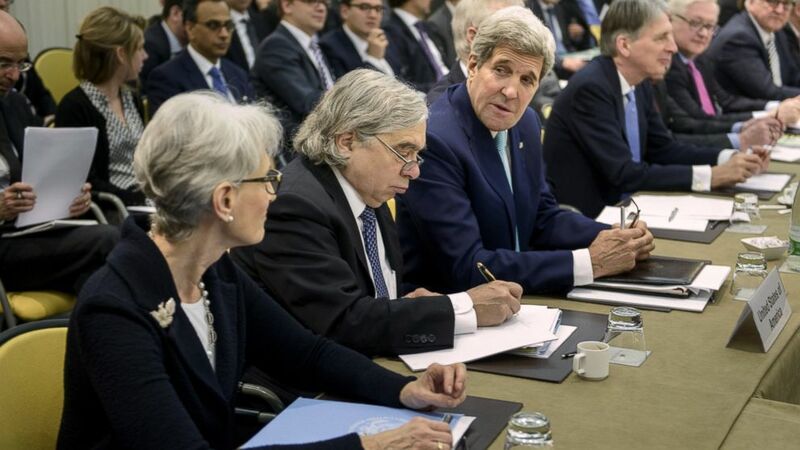 Negotiators trying to produce a nuclear accord with Iran will fail to meet their self-imposed March 31 deadline to come up with a broad political understanding about eliminating Iran’s pathway to a bomb, the State Department said today. Less than 24 hours ago, Harf said there was a “50/50” chance that they could come to a deal. Officials inside the negotiations are not commenting on why more time is needed, but the sticking points during these talks have been clear. They’ve included disagreements on how many centrifuges — which are used to enrich nuclear fuel — might remain online at Iran’s deep-buried Fordo nuclear reactor, whether or not Iran will be allowed to continue nuclear research and development for scientific purposes, and what to do with the stockpile of enriched uranium already owns. Negotiators on all sides have been working towards this deadline since November 2013. That’s when Iran and the so-called P5 +1 (U.S., U.K., France, Russia, China plus Germany) agreed on a Joint Plan of Action (JPA), an interim agreement that paved the way for talks by temporarily halting Iran’s nuclear enrichment program and subjecting it to daily inspections in exchange for the loosening of some economic sanctions. Though there is still hope in Lausanne that an agreement can be reached, Congress is likely to see this most recent delay as a failure of diplomacy. Two weeks ago, 367 members of Congress, many of them Democrats, signed a letter expressing “grave and urgent” concern over the Iran nuclear negotiations. Many of them have threatened to derail any potential deal by voting to enact tougher economic sanctions on Iran. President Obama has threatened to veto that legislation, but it’s possible Congress could get the two-thirds majority needed to override a presidential veto. Congress, however, is on a two week recess, which is one of the reasons the Obama administration believes it still has more time. Another reason has to do with the tentative agreements already in place. A four-month extension was granted within the JPA last November that said the six world powers and Iran had until March 31 to reach a consensus on how to go forward. Essentially, that political understanding (due tonight) would outline what actions Iran has to take to dismantle its nuclear program and, in exchange, which economic sanctions on Iran would be lifted and when. That November agreement also stated that by June 30 there would be a formal, signed agreement, followed by implementation of the plan. The State Department said Monday that technically the JPA extends through June 30 and therefore the parties are within their rights to negotiate up until that point. It’s unclear, however, if those involved would be willing to drag the talks out for another three months without first reaching this broader agreement.